Naim sat in a room full of birds, drinking his morning coffee. At the end of July, the Israeli army had warned the people of East Jabaliya to evacuate the area. Naim was torn: should they leave everything behind and run? Who would take care of the birds? 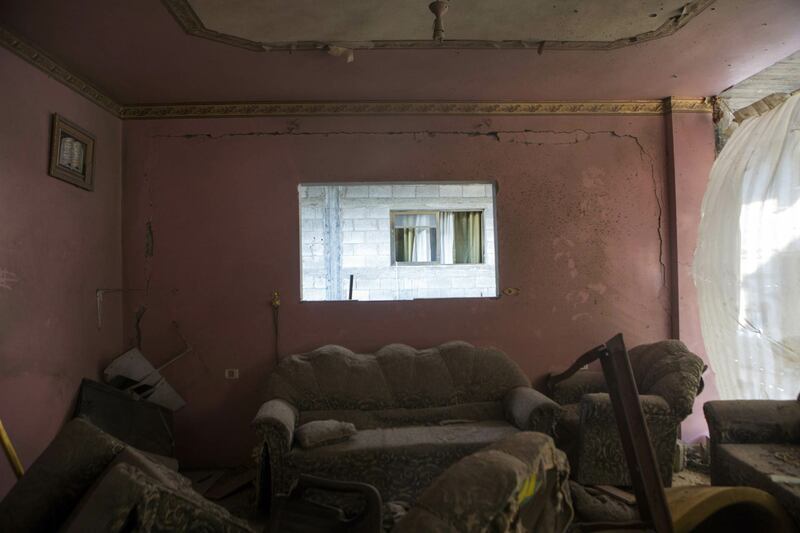 His brother Abdelkarim’s house, where they would have been welcome, had a thick cement roof, something that could protect them from debris in case of a nearby explosion. Above Naim’s head was a thin sheet of asbestos, not even good enough to shield his family from the merciless heat of the summer sun. Naim’s 17-year-old son, Ala, was on his way to pick up groceries from the market when he saw many people leaving the area. Some people were carrying their belongings, others were riding on donkey carts or in tuk-tuks, a few had cars, filled up to the roof. When he got back home, he convinced his father that they too should evacuate their place and go to their uncle Abdelkarim’s house, also in the Jabaliya refugee camp, but a much more solid construction. The family sat in Abdelkarim’s house, eating lunch, telling each other stories, joking and trying to turn their forced evacuation into a family gathering. The two brothers were very close, so were their wives. Later on that day, Ala’s older sister, Wafaa’, brought up the topic of marriage. She said their mother had someone in mind for Ala. He listened, but right away laughed the idea off. The shelling started on 29 July in the afternoon and lasted until the next day. 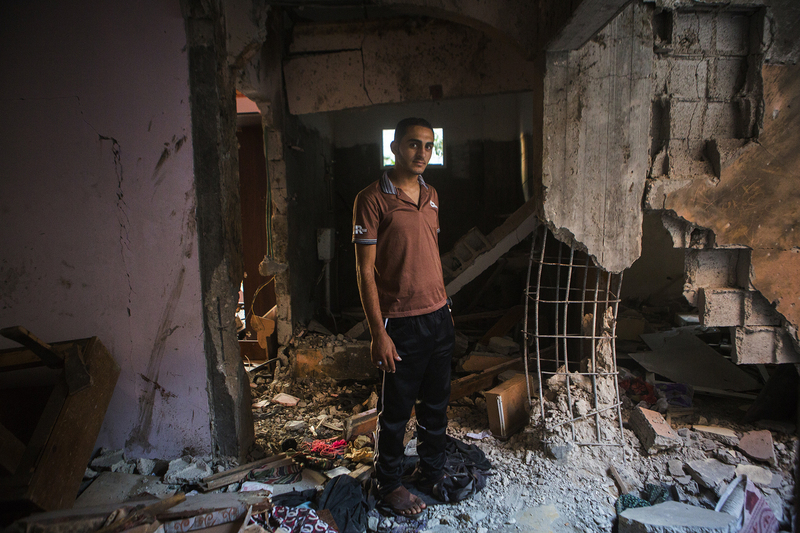 The house of Naim’s brother, Abdelkarim, where the family had gone for shelter, was hit on the first day, it was struck by several shells. One of them fell into the room where Ala’s sisters were staying. 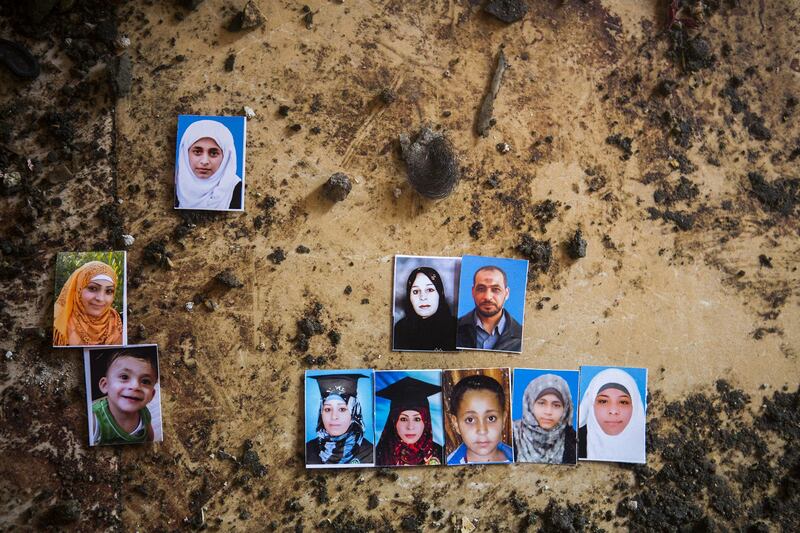 Ala’s parents and all seven siblings were killed. 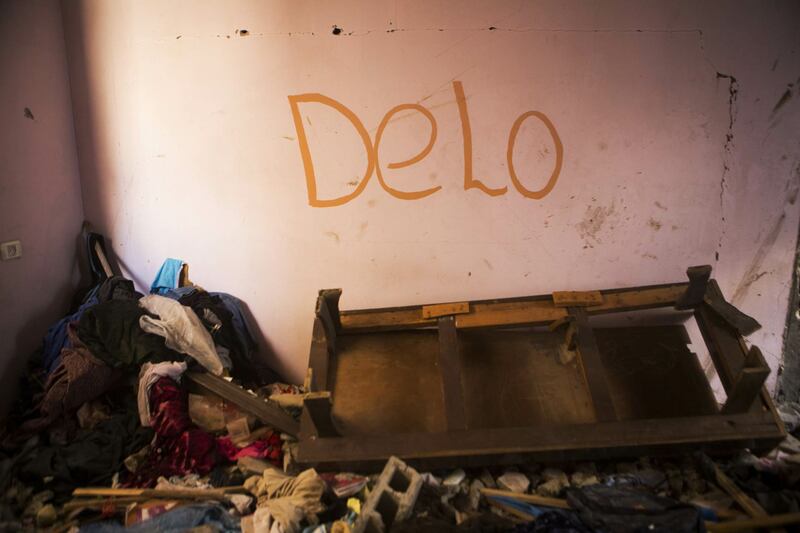 Room of 17-year-old Hadil, nicknamed “Delo”. “She planned to become a doctor; she promised this to her grandfather,” Hadil's father, Abdelkarim, says. Ala, her cousin, will add later that she got 92% in her high school final exam. She made the entire family proud. 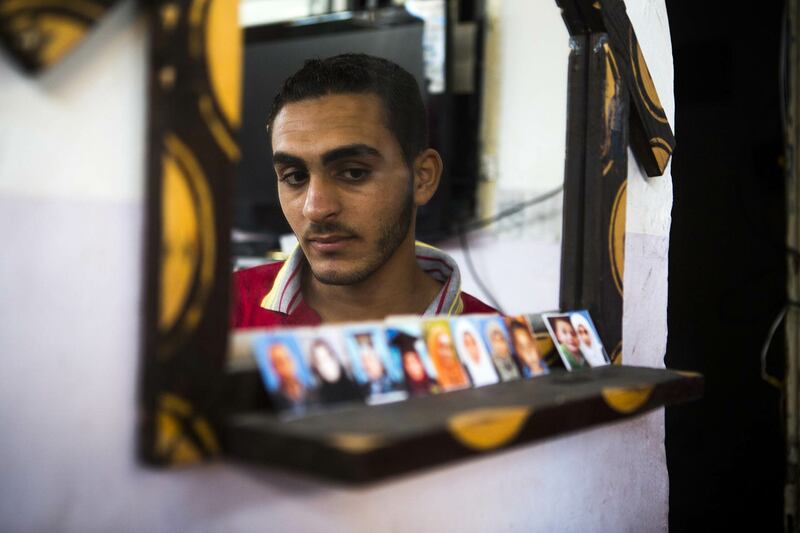 The families of two brothers Naim and Abdelkarim ate lunch together. When the shelling started soon after, most of them were napping. “We are homeless now. I demand justice, I demand that an international court hold Israel accountable, because they murdered our family, with no warning. All I want is to find a prosecutor who will take this case, but no one is looking into it,” Abdelkarim says. 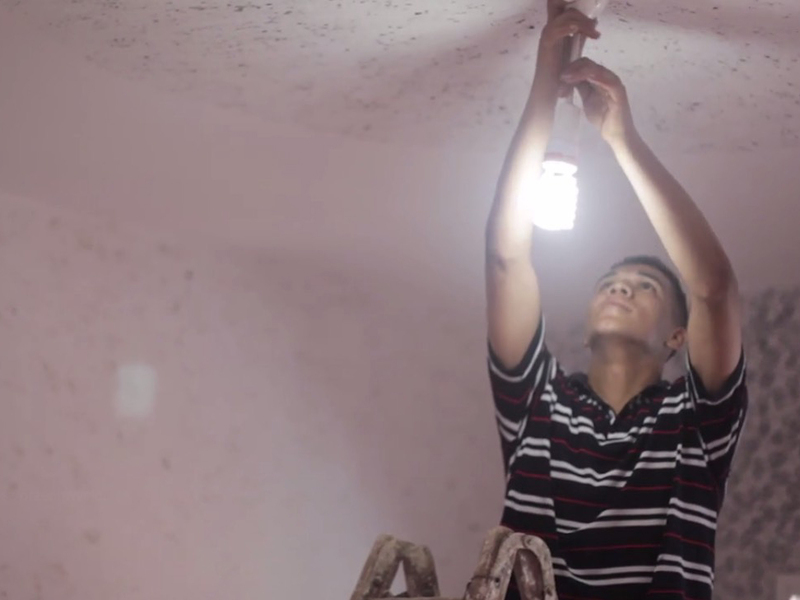 Now that Abdelkarim’s house was destroyed, his family was homeless. 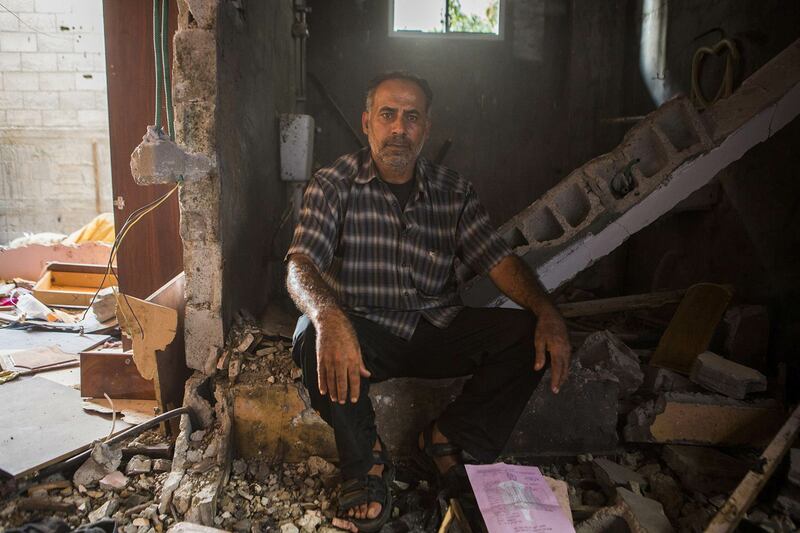 The Israeli offensive was in full swing and the family needed shelter. 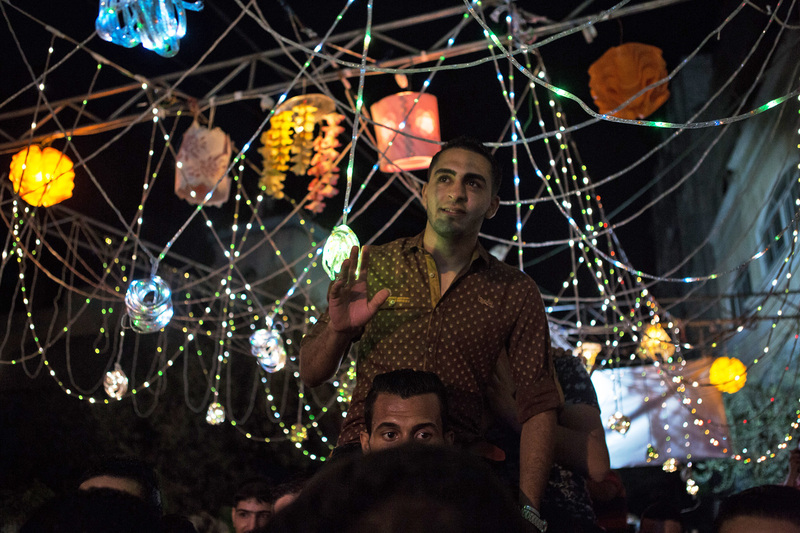 The UNRWA schools, where internally displaced Gazans sought safety, were full. And before they had even begun to consider going to one of those temporary shelters, a nearby elementary school in Jabaliya camp was shelled by the Israeli military, just 12 hours after their house was hit. Nearly one hundred people were injured, and 19 – mostly women and children – killed. But there was of course Naim’s house, now standing empty. Ala couldn’t return there straight away. Literally everything brought up memories of his family. As Abdelkarim’s family temporarily moved in there, Ala gathered a few items, took his father’s canaries to his cousin, who was also a bird breeder, and went to an overcrowded UNRWA school. For a while, Ala lived between the school and the house of another uncle. At the school, there was no space in the classrooms and he slept outside, in the playground. The days were awfully hot and the nights were cold. He couldn’t decide which place was safer. After all, his family had died seeking shelter in a relatives’ house, while a nearby UNRWA school was shelled by the Israeli army. He eventually chose the school and during the last week of the bombing, he was so terrified that he wasn’t able to leave it at all. He didn’t feel at ease there, yet he stayed even after the war. Once he was ready to move back to the house, Ala brought the birds that he left to his cousin back to his family home. He placed them in their old room, where his father used to have coffee every morning. He intended to take good care of them. Ala wanted to fulfil all of his parents’ wishes – his father, apart from the birds being cared for, would want Ala to go back to school, while his mother would wish for him to get married and start his own family. Naim was an electrician; he had worked hard all his life so that his children wouldn’t have to, so that each one had a chance to finish university. Ala’s late sister, 22-year-old Doaa’, had already graduated, while Wafaa’ and Hanaa’ had both been university students. He was supposed to follow in their footsteps, but it turned out to be a real struggle. The birds started to die, one after another, as if they were also feeling the tragic loss of their owners. Ala sold the remaining canaries four months after the end of the war. He tried to resit his final exams in order to get accepted into a university, but studying was hard for him, not only because school simply wasn’t his thing, but because he was traumatized. Post-war trauma can make it really hard to focus and to memorize things. Despite his best intentions, his plan to become a college student had to be postponed. But there was one last thing he had set his mind on: starting a family of his own. On this front, he did not give up. In his eyes, there was only one person he wanted do it with: his cousin Amuna, the one his sister talked about just a day before their family was bombed. Uncles and cousins helped Ala throw the wedding. On a small stage in the wedding hall in Jabaliya, lit up with fluorescent lights and filled with plastic chairs occupied by dozens of women from the extended family, Ala and his bride Amuna danced with their closest relatives. They were mostly happy, although a bit overwhelmed. But there were difficult moments too. When a song traditionally played for the mother of the groom had started, Ala’s cousin came to the stage to dance instead. Posters of Ala’s killed relatives were hanging above the heads of both parties’ guests: the men in the streets and the women in the hall. Now, two years after the attack, Ala and Amuna are expecting a baby. Amuna is four months pregnant. They already know it is going to be a girl. They both sound happy on the phone. Back in September 2014, when Ala was still living in the UNRWA school, he knew that he wanted to go on with his life and start a family of his own. “I will name my future children after my killed parents and siblings,” he explained, nearly two years ago. The girl’s name will be Sahar, after Ala’s mother.